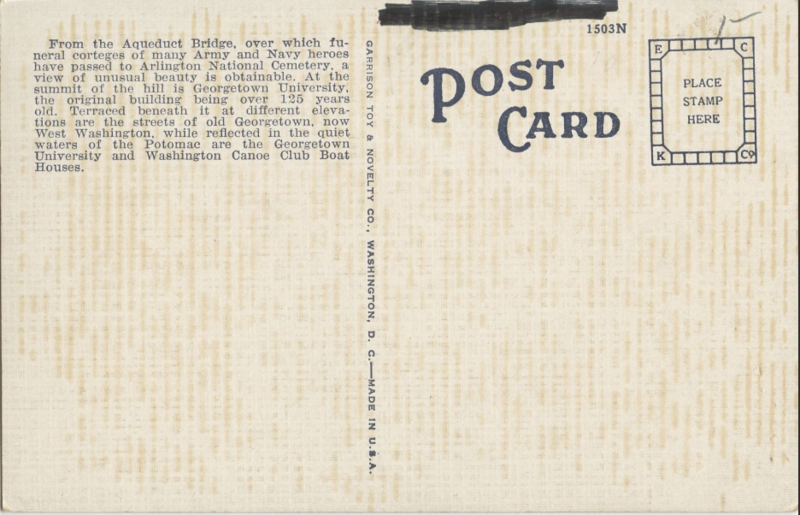 Postcards are an excellent source of historical snapshots, both literally and metaphorical. 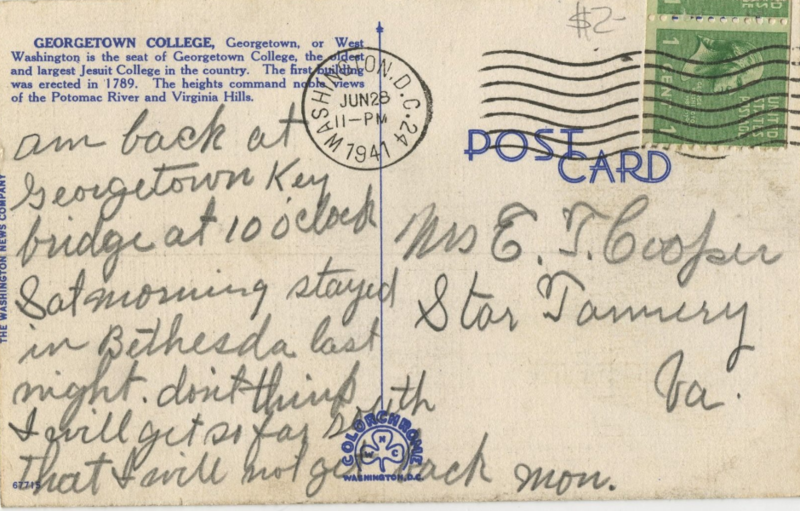 Today, GM wanted to browse through a couple from DDOT’s collection that feature Georgetown. From the Aqueduct Bridge, over which funeral corteges of many Army and Navy heroes have passed to Arlington National Cemetery a view of unusual beauty is obtainable. 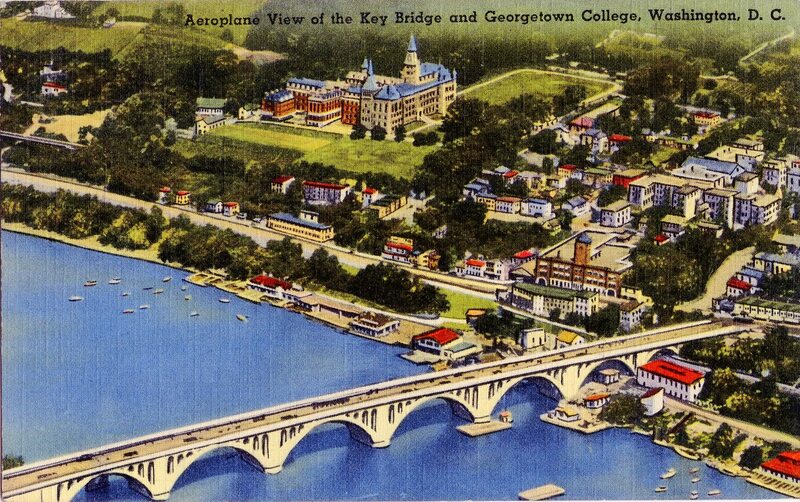 At the summit of the hill is Georgetown University, the original building being over 125 years old. Terraced beneath it at different elevations are the streets of old Georgetown, now West Washington, while reflected in the quiet waters of the Potomac are the Georgetown University and Washington Canoe Club Boat Houses. A couple other interesting things: the homes depicted on the hillside below the university did exist in the early 20th century, but were torn down. That includes the GU boathouse. The Washington Canoe Club still exists, of course, but it’s green not red. The second postcard in this group appears to come from the same photograph as the first. This one is clearly more just a reprint of a photo. 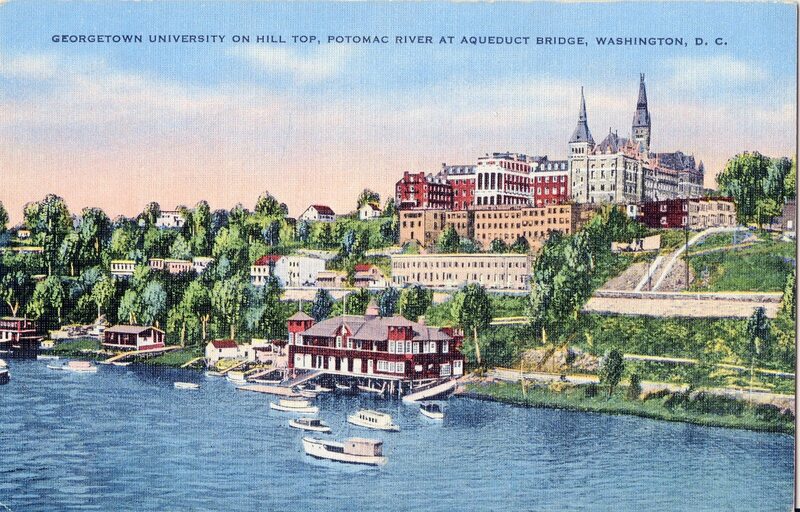 It also shows Dempsey’s boathouse on the far right, which was excluded in the first postcard. 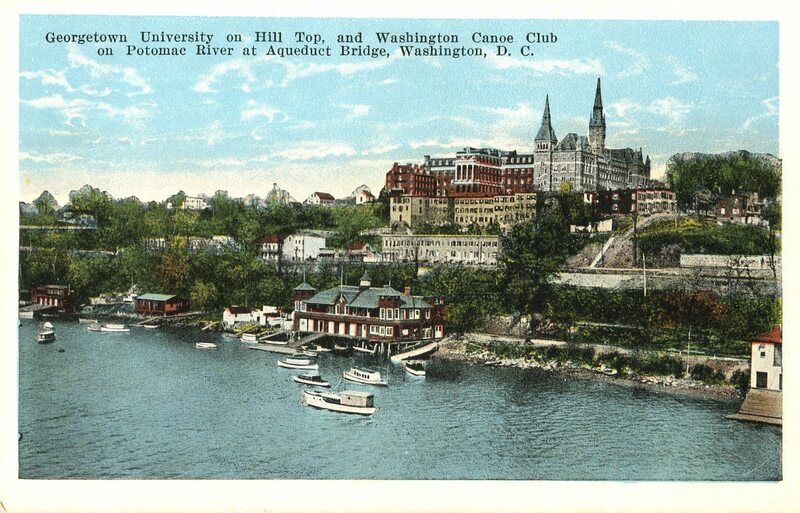 It also shows Washington Canoe Club as red, maybe it really was red back then? Are those steps coming down from 37th to Canal landing about where the Exxon is today?